The government's competitiveness council has set targets to improve the country's ranking by 29 notches to 109th in the global survey on doing business. 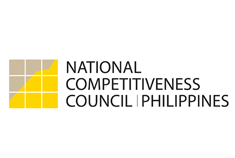 Speaking at the Ease of Doing Business Summit 2013 held in Pasay City on Friday May 3, Guillermo Luz, co-chairman of the National Competitiveness Council, said they are looking to bring up the countrys' current 138th rank out of the 185 economies surveyed. The International Finance Corp (IFC), which conducts the survey, will release the 2014 rankings this coming October. A better overall ranking for the Philippines is dependent on how the processes that businessmen are faced with when transacting with the government are streamlined and simplified. Luz said specialized teams will be created to improve the country’s business environment by addressing each of the indicators on the difficulty or ease of doing business in the country that IFC is tracking. So far, 8 of those teams have already been set-up and two are in the process of being put up. According to Luz, the priorities of these teams are on indicators that have to do with starting a business, getting credit, protecting investors and resolving insolvency. "If we make an improvement [on these priorities], we will have the biggest gain,” said Luz. One target is to halve the current 36 steps it takes to start a business to 16. Another involves reducing the number of steps to pay taxes from the current 47 to 14. The target for obtaining construction permits is to cut the steps to just 12 from the current 29. The sector that suffers the most from these long and complicated process is the SME sector, said Luz. “The key measure is to look at how easy it is for small to medium enterprises (SMEs) to get started. Big companies have their consultants who can help them do that work. SME’s cannot afford us so they need to do it themselves. If we make it easier for them, we make it easier for all," Luz said. "They are the largest number of businesses as well. Form that point of view it’s an important factor for them,” he added. The National Competitiveness Council has also been working with Microsoft to create a 'Doing Business Dashboard,' which will be an online monitoring tool that will rovide information on the progress of the different agencies in attaining their target. This dashboard, which will be available to the public, will help to increase transparency of the government's progress, Luz explained.